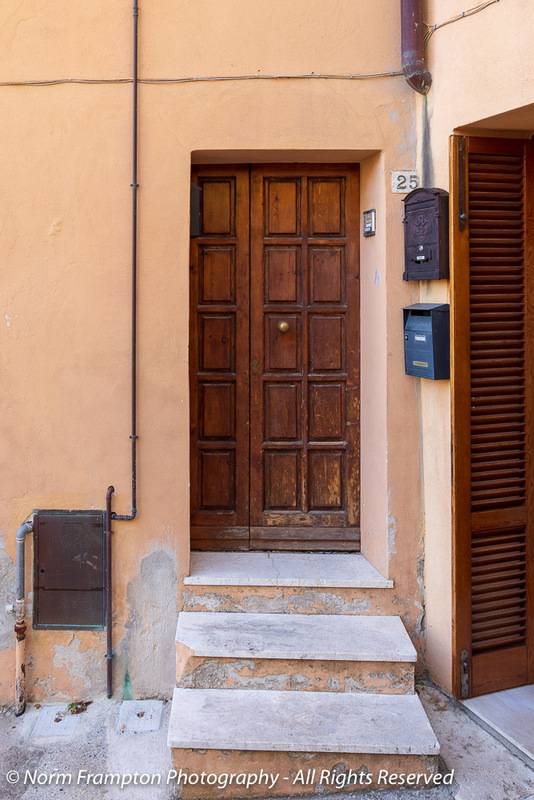 Thursday Doors is a weekly feature allowing door lovers to come together to admire and share their favorite door photos from around the world. 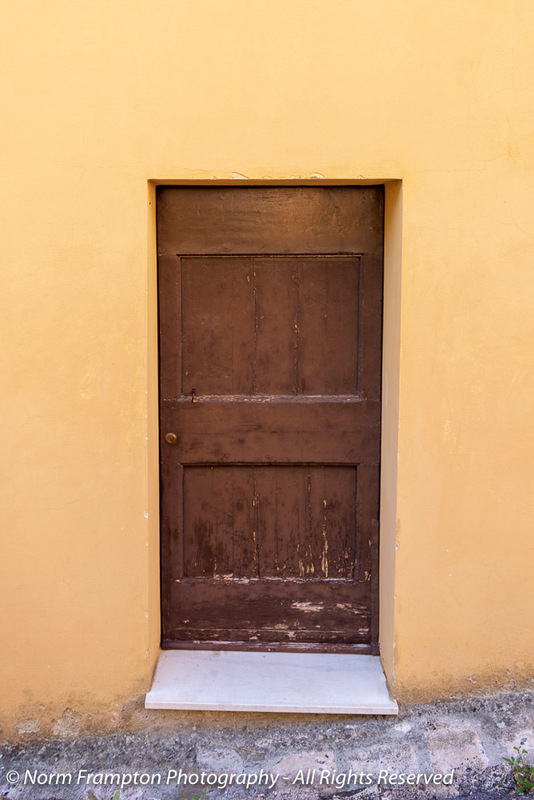 Feel free to join in on the fun by creating your own Thursday Doors post each week and then sharing your link in the comments below, anytime between Thursday morning and Saturday noon (North American eastern time). Here on Monday in southwestern Québec we were hit with a nasty freezing rain and ice storm, followed by some unseasonably heavy snowfall. This brought down tree branches and entire trees onto power lines all over, knocking out electricity to over 340,000 homes and businesses in the region, including the home of yours truly. As of Tuesday night this post was going to be called: No Doors For You! That is assuming I was able to find a functioning public WIFI zone in time to put something up for Thursday morning. Luckily by Wednesday afternoon most homes in our area were back online, but boy, losing power for almost 3 days in slightly below freezing temps, while seeing trees and branches down on every street is scary. In the end though, all’s well that ends well. We’re doing fine here and I am now able to process and upload images to write my post. However, the electrical grid is still unstable and the power has cut out twice in the time it took me to write this much. This one looks like it has been here for a while. Ghost doors are the best, aren’t they? Note: depending on the power situation here it may take me longer than usual to get around to visiting everyone’s post, but rest assured I will swing by when I can. 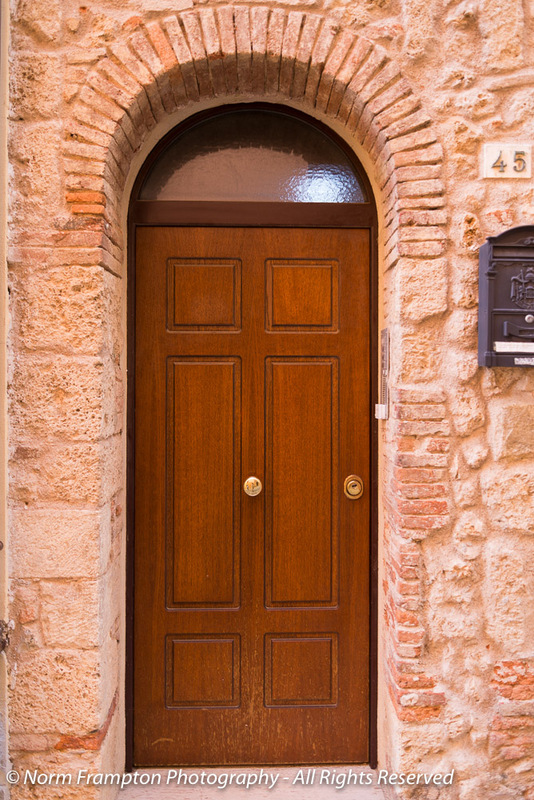 Want to join in on the fun and share your own Thursday Doors post with other door lovers? 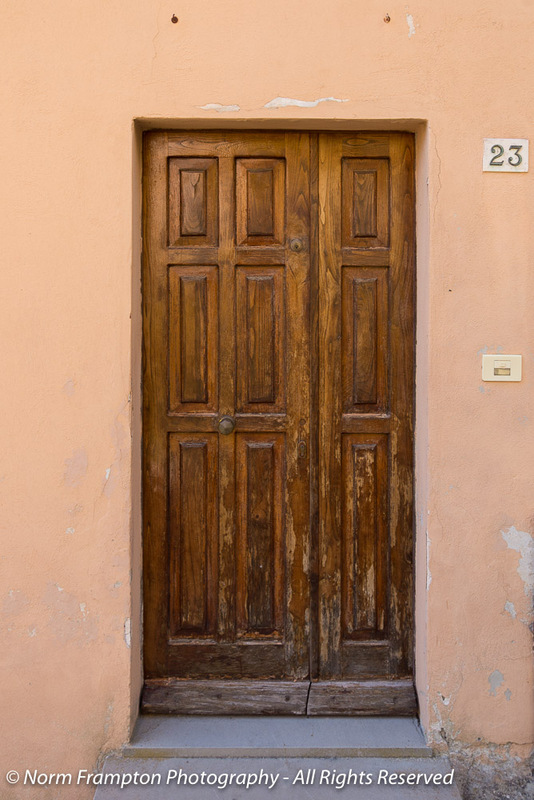 Then simply add the link to your Thursday Doors post in the comments section below. 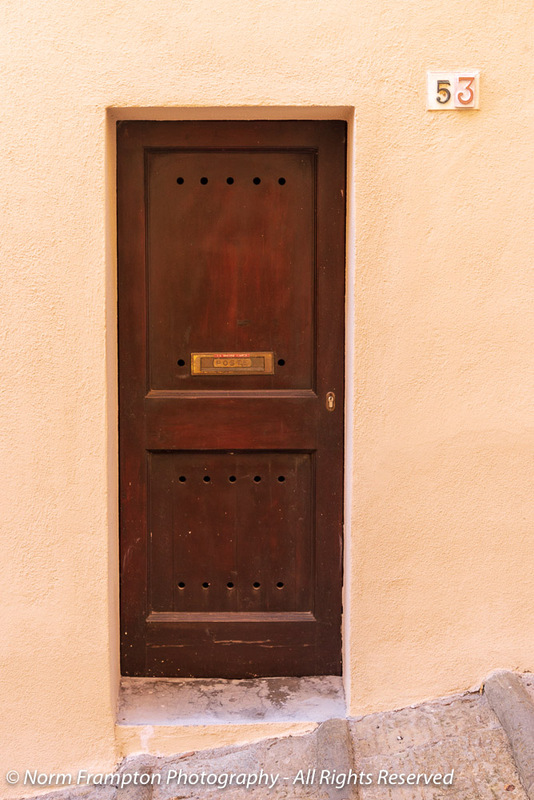 Don’t forget that if you share your blog posts on social media, use the #ThursdayDoors hashtag to help others find you, and please do take a few minutes to visit some of the Thursday Door posts shared by others. 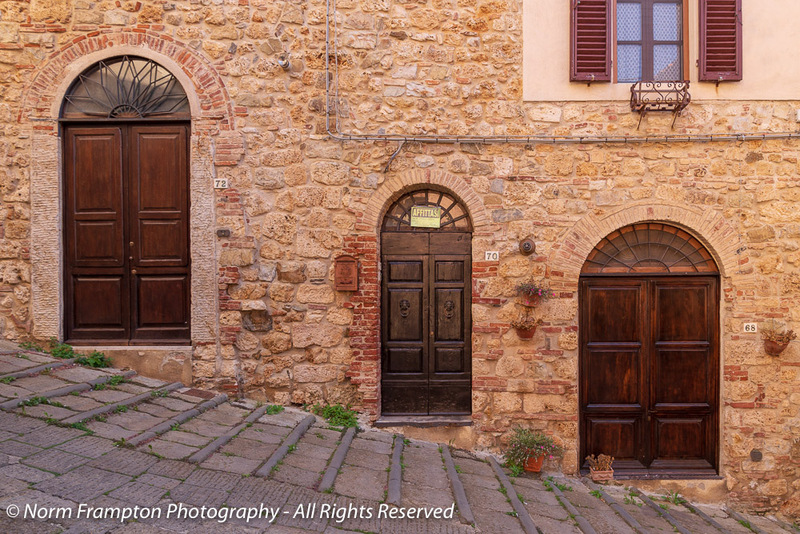 Gallery | This entry was posted in Photo Challenges, Photography, Thursday Doors and tagged Doors, Italia, Italy, Massa Marittima, Thursday Doors, Tuscany. Bookmark the permalink. Lovely pictures of the doors. I loved the trifecta ones and the hand-carved door. 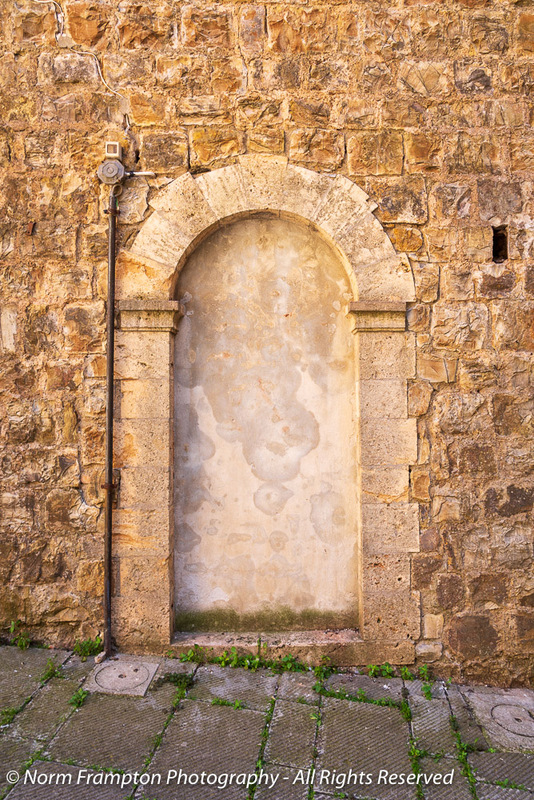 I have always been a fan of Thursday Doors on Dan Antion’s No Facilities blog and I wanted to be a part of this. However, I was not sure if I can pull this off. Finally, I’m putting myself to the test. The angles along the bottoms make every one of these doors even more interesting. Love the first three-in-one shot, wonder if Manja had shared that — truly familiar to me, love that. The next three are also fabulous. 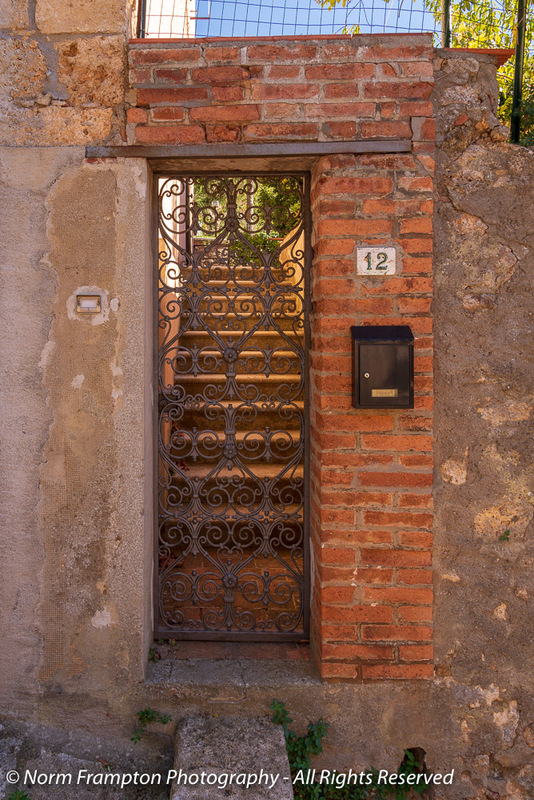 #13 does it for me, with the gate and the letterbox. These are all wonderful! So glad you have heat and wifi and are comfortable again! MANY of them are memorable enough to enjoy again! So glad to hear that your electrical issues were fixed before the freezing cold caused more problems, Norm; if anything, your food in the fridge wouldn’t spoil cause you could leave them on the back door porch in that freezing temperature. And, with that collection of doors, failure to post could have caused a riot from your loyal TD followers! 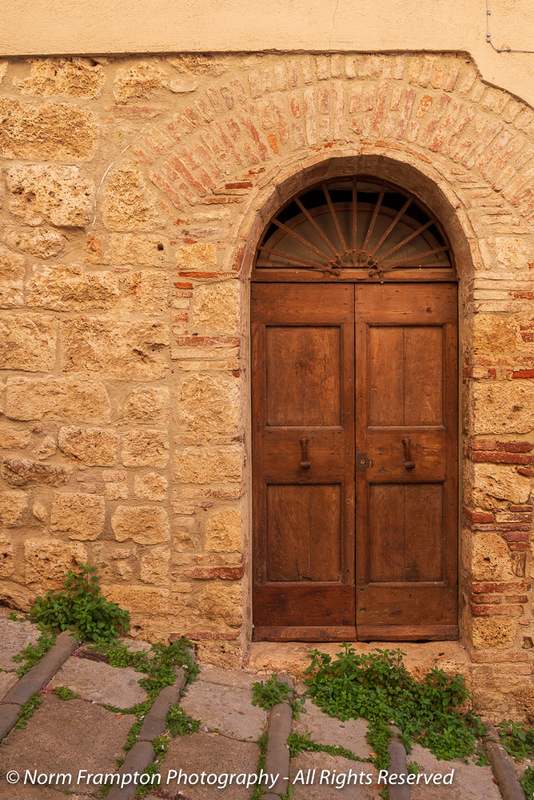 Your trip to Tuscany brought you a treasure trove of fantastic doors! What a great collection Norm. I love the trifecta and also the 3 doors and a window. I love how the red window and nearby green door pop in that light. Thank you Amy. This place was magical. nice doors. We had some snow last week, but it didn’t stick. My power went out for a second this week because of a thunderstorm, but at least it came back on. The ones that jumped out at me this week is that iron gate and the stone one. Maybe sone day it will live life again as a door.Nice collection. Those elaborate wooden doors and lovely archways are so beautiful. What is not beautiful is the weather – how unfortunate for you, and those trees. Mother Nature has been unrelenting in so many parts of North America this Winter/early Spring. Across the Midwest of the U.S. they are enduring this bomb cyclone event where snow is measured in feet, not inches. We lucked out here, though the Upper Peninsula of Michigan was to get 10 inches (25 cms) of snow through this evening. By the way, I stopped by and commented on your post but it looks like the WordPress spam filter ate it. You may need to dig me out of your spam folder – sorry. So sorry about your weather. I think all of us will be ready to be fully shed of winter. Your picture are wonderful as always. Yes it will do me some good to get some milder weather soon. Hope you had some kind of heat in your house when the electricity was down? The outside temps only got down to about -4C so it wasn’t too serious, but yes we have a woodstove downstairs so we were able to keep the entire house at about 15C. Some doors, a song and poem from where I’m from. Fabulous doors, Norm. Everything is beautiful in Italy! I love the trifecta doors! Those are just lovely! Glad to hear your power and heat are back on, and I hope it stays that way! Glad you have your power back, Norm. Not so funny! I know places in the US were expecting huge snowfalls last night, so power outages were probably happening there, too. Fortunately, here it’s just icky: cold, grey, windy. But in the scheme of things, I’ll take that. I find the placement of the door knobs interesting as well as the fact that the key hole isn’t in the door knob the way it often is here. In our former house, we had a dead bolt key and then a key that went into the door knob. So much to like here, Norm. 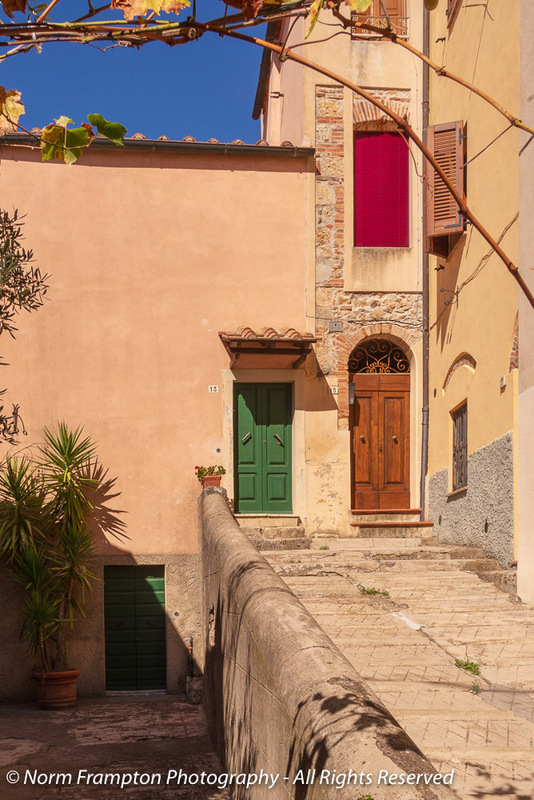 I love the split doors, the ghost door and those doors going down the hill – I’m picturing a scene from the Marx Brothers being filmed there. I also really like the intersting door (above the ghost door) with the offset transom window. I’m so glad you got your electricity back. Those storms can really mess up your week. Thanks Dan. It has indeed been a messed up week, but thankfully things are gradually getting back to normal. I love the trifecta. Brilliant! It's terrible to hear of your storm and nuisances. 😦 Three days in the cold is no fun at all! 😮 I wish that from now on it's only smooth sailing into the spring. Thank you my friend. Perhaps your wishes for smooth sailing have helped. The grid was a little unstable yesterday with the power cutting out a few brief times but everything seems back to normal today and tomorrow they’re forecasting the warmest day of the year so far. I’ll circle back and check out bestia’s birthday post in a little while. Thanks for letting me know about it, I haven’t been online too much this week. Great to hear it’s back to normal. Enjoy spring and hugs to Honey. I hope she sailed smoothly through it as well. 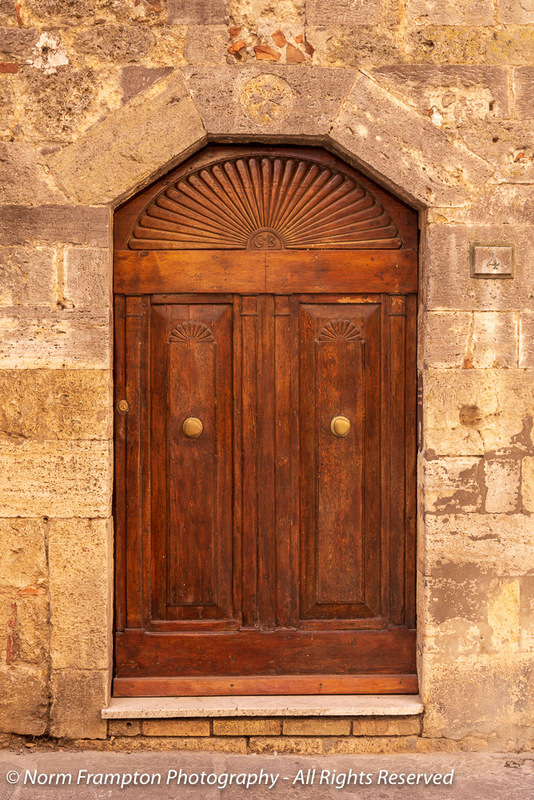 I like wood doors and I like the knobs/handles in the middle of each door. So different from the way we place our door hardware. Interesting. Thanks Ally. Yes, the designs are very different to what we’re used to in North America. Some beautiful doors. Living in a hilly city, I really get those doors on an incline. Loved the 9 panel door. No doors from me this week. Poor health and large workload to blame. Went on one today in London. OMG…got some goodies lined up. The second photo is my favourite! My doors at the moment are rather mundane. 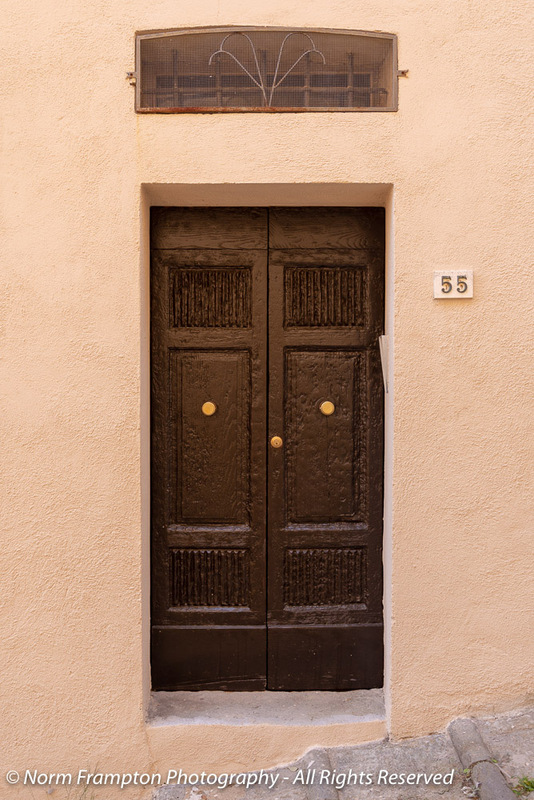 Weather hasn’t been enticing me to get out but am looking forward to May when we will be travelling and will find lots of great doors. Great selection of doors! Italy is such a fertile hunting ground for them. Here’s mine https://wp.me/psaJS-3Nb from a recentish trip to Castres.